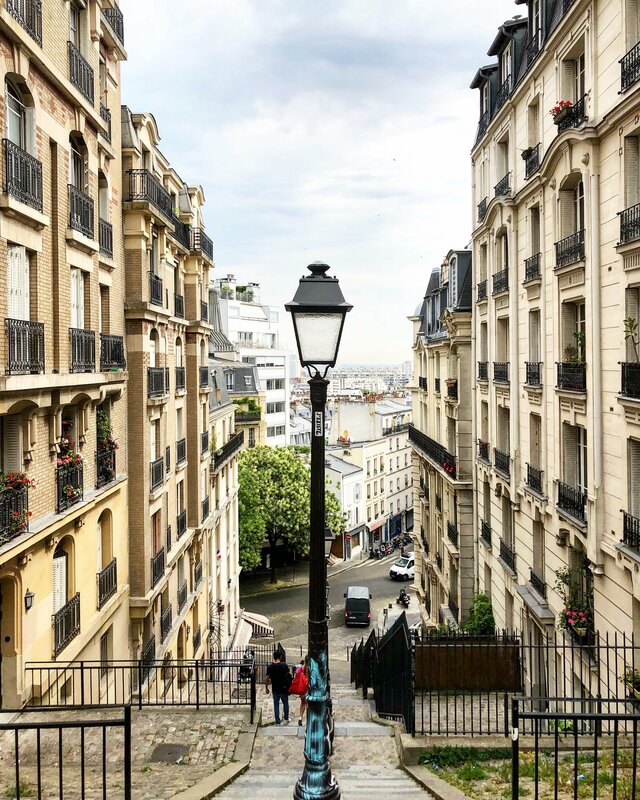 Whenever you are in Paris for a weekend or for an entire week it’s difficult to choose what to see and do in the French Capital. As most of you probably already know, I love to find out the most Instagrammable places or views. So in this article I’ll try to make a list of the ones I’ve chosen. Montmartre is the most charming quartier in Paris I think. In fact, in here you will find a lot of small cafés and bohemian architectural buildings. I love also the narrow cobbled streets full of sculptures, history and art of this zone. First of all, you will be enchanted by the Basilica of the Sacre-Coeur. The view from this white-domed Church is pretty amazing. There are 222 steps to make but it’s worth it. The atmosphere is unique because of the presence of many artists, some of them are painters, some of them are singers. The outside of the Church has become a hotspot for the talented streets artists. I have had the possibility to make a tour with a talented guide with Paris City Vision to better explore Montmartre. Due to this, I’ve seen places and spots that I’ll never have discovered by myself. See some of them here below. The Maison Rose is also a must to see and take a shot of. It’s possibile to eat here in “plein air” during the summer to have a Parisian authentic experience. It’s a darling pink house hidden in a corner high atop Montmartre. The Eiffel Tower is an obvious choice but it’s always amazing. A visit in Paris cannot be complete without a visit of it. During the summer you can eat a baguette or make a picnic in the park under it while enjoying its view. The Arc de Triomphe is also a symbol of Paris. It’s the largest triumphal arch in the World and it represents history, passion and culture. It’s located at the western end of the Champs-Élisées, a very busy street but still kinda magic. The Luxembourg Garden is worth a stroll too. 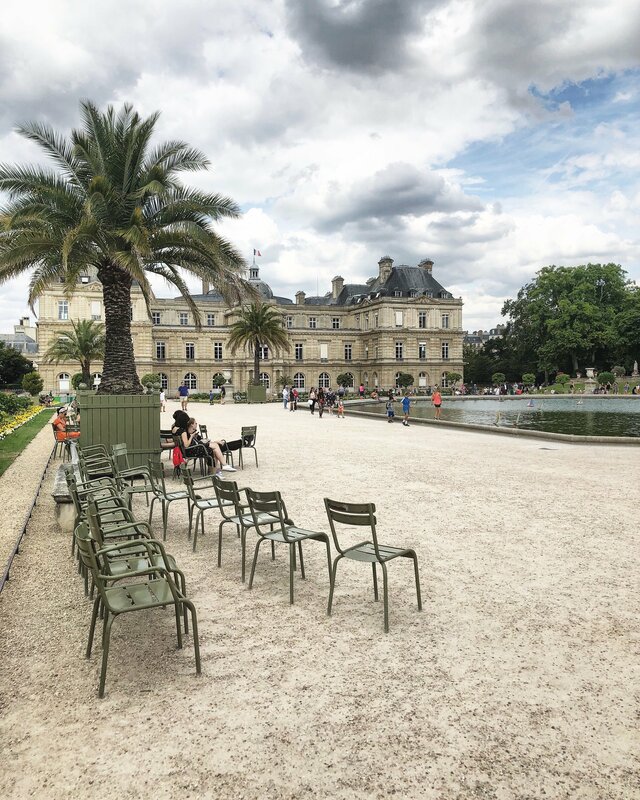 It was created around 1600s around Luxembourg Palace and a walk in it will reveal peaceful pools and geometric paths. It’s a perfect refuge from the traffic and the noises of the city of Paris. Least but not last, Rue Cremieux. It’s the most colorful street of Paris (and probably the most photographed too!). It looks like a perfect painting: the colored houses seem to be put in line and strolling down and up in here you will notice something new everytime. The details are so cute in this quiet Rue. 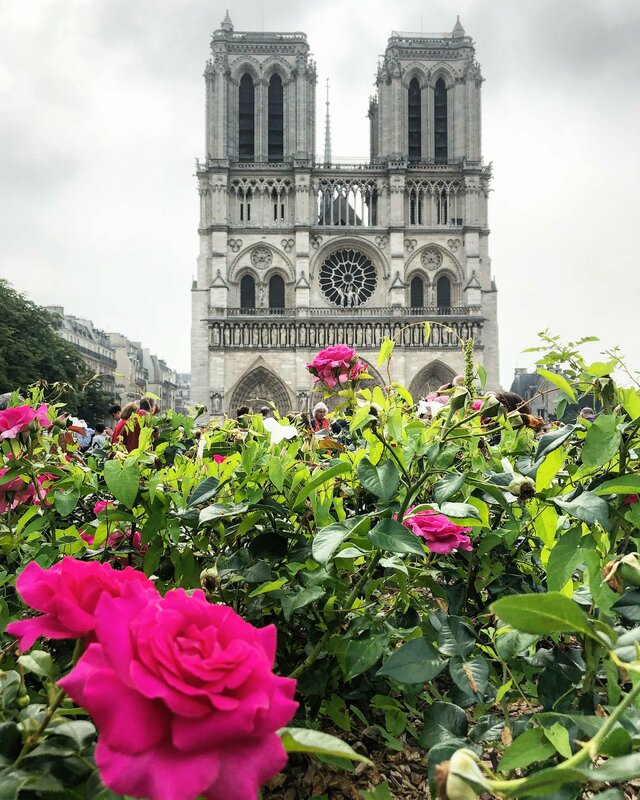 Located in the very heart of the Latin Quarter of Paris, there is Notre Dame. It’s a symbol of Paris and it’s worth a visit. 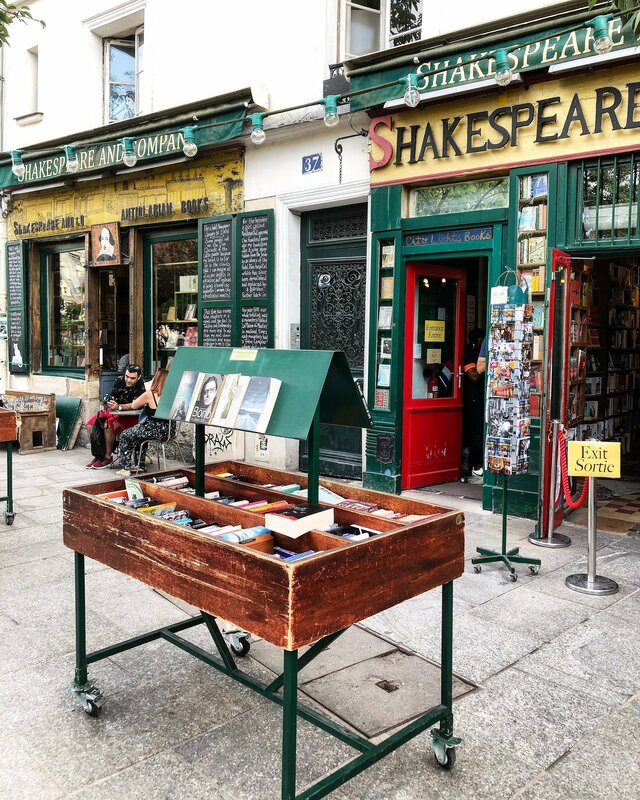 In the shadow of the Île de la Cité and the monumental Notre Dame cathedral, you will find the iconic bookstore of Shakespeare and Co. Here time seems to stand still, like a picturesque postcard. First of all, it must be visited due to the rich history that lies behind its foundation: the current bookshop, in fact, takes its name from the most famous “Shakespeare and Company”, which was opened by American Sylvia Beach in 1919 at number 8 rue Dupuytren, only to be transferred, in 1921, to 12 rue de l’Odéon, where he remained until 1941, the year in which he closed his doors because of the German occupation of Paris. 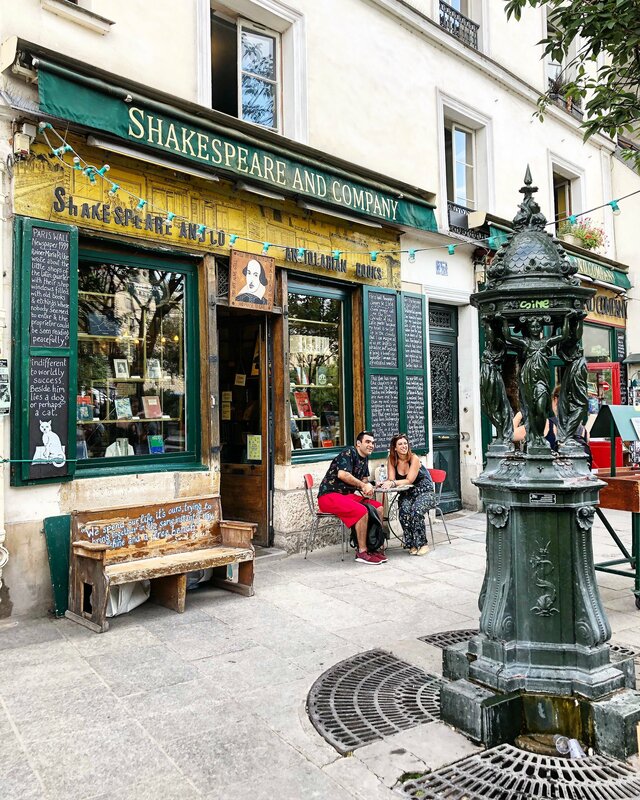 During the years that preceded its closure, the “Shakespeare and Company” became the literary meeting place for authors such as Francis Scott Fitzgerald and Ernest Hemingway. Even the English writer James Joyce there was practically at home, creating a true friendship with the owner. It was George Withman, in 1951, who opened the current bookshop on the left bank of Paris. Nowadays, it proposes an infinite universe of books and volumes in English, both new and used. It offers also extraordinary events, such as the “Sunday Tea”. 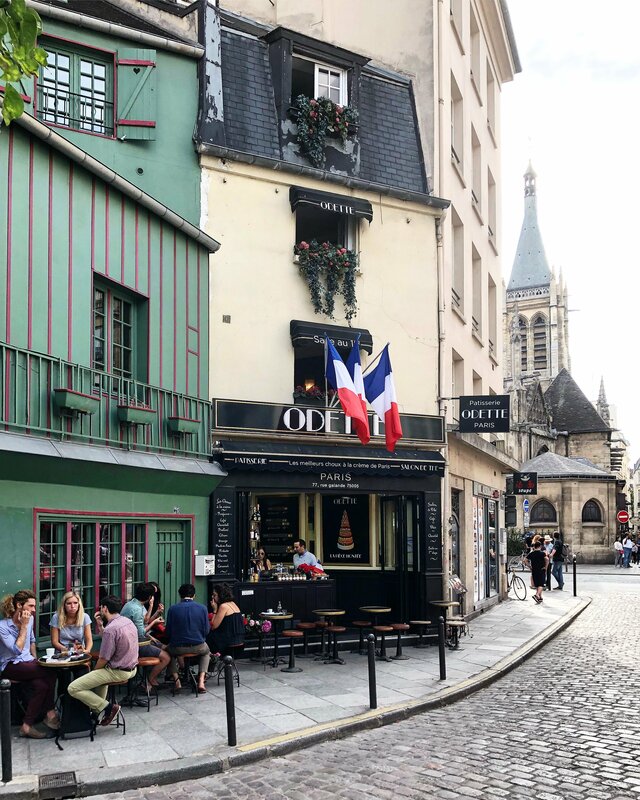 Just behind this famous point in Paris, there is a little-cobbled lane that many people miss in lieu of a more iconic walk down the Seine. But it’s so pretty and vintage and thanks to streets like this that Paris is so pretty and unique. Somewhere along this cute road, you’ll see Odette Paris, a pretty café, perfect spot for Instagrammers. 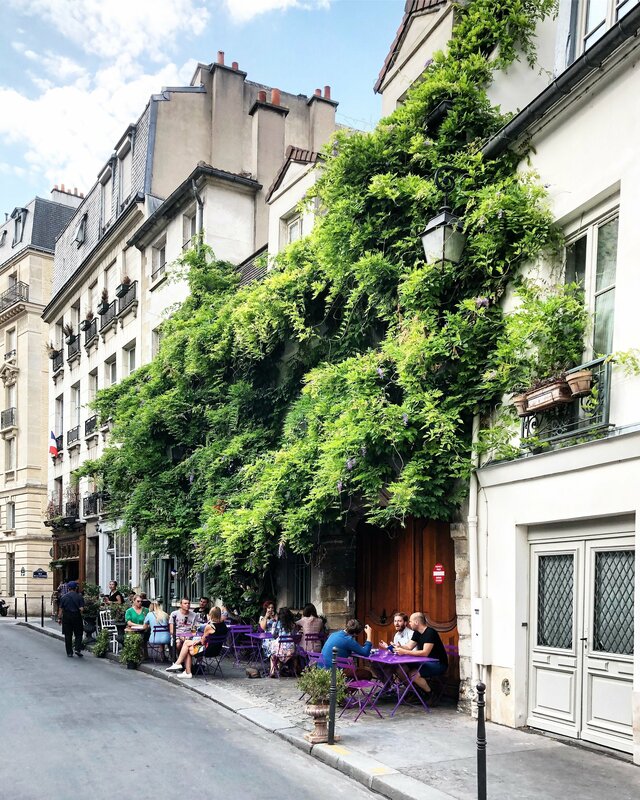 Au Vieux Paris d’Arcole is another of Paris’ hidden gem. It’s a refuge from the usual hustle and bustle of Île de la Cité. It’s not so busy and it’s quiet. This café is located very centrally, 100 meters away from Notre Dame to be precise. Strolling around le Marais, le quartier, you have to stop here and stare it. 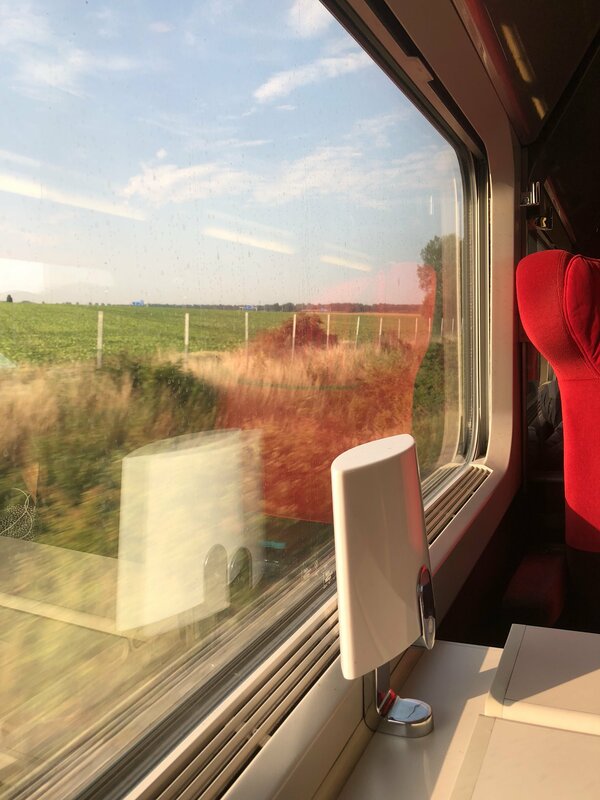 I’ve reached Paris from Brussels using an Interrail Pass. It’s a great option and it gives you the opportunity to visit different countries. You can travel by busses, trains or boats. The app to plan your trip is very easy to use and you can organize all in a few days, searching the itinerary that best fits your idea. 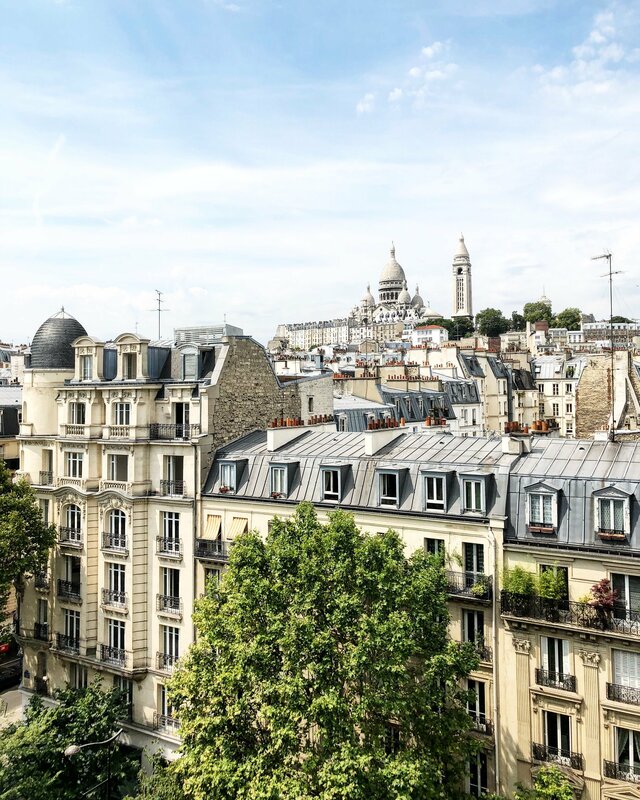 I’ve stayed in an Airbnb apartment near Montmartre, located on the 8th floor and the view was amazing. Paris is so beautiful and I want to discover new places but there are so many to see. I hope to visit it again soon. Tell me if you have found out more Instagrammable spots so the next time I’ll see them too. I honestly haven’t had a big desire to visit Paris, or France as a whole. However, your pictures are simply stunning and making me rethink my travel goals. I really love how brilliant the Rue Cremieux is. I’ve seen plenty of beautiful pictures of it recently, but didn’t know this was where it was located! Rachelle, I think Paris is always a good getaway. Rue Cremieux is a new spot, before it was an hidden gem in the city. Your photos are so spectacular! Did you end up getting up at the crack of dawn to be able to get such beautiful shots without many people in them? You made me fall in love with Paris again. I live in Belgium so Paris isn’t that far away but I have to admit I don’t really go there. But after your amazing pictures I want to spend a weekend there and discover all those places! I would definitely take a tour as well. Thanks for the tip! I have been to Paris once and it was just too short, only two days. After seeing your pictures, I am seriously thinking to make another trip back to shoot more pictures of this incredible city. Yyyyyoooooooooooo…..this is all instagramabble! I just can’t have enough of Paris. First, you have me going to Cuba, and now FRANCE! I will admit, France has been on my coveted “to travel” list for quite some time now, with a husband that will happily oblige. We recently got our passports, and I think it’s time to put some stamps in them. Gorgeous shots! No, but seriously, GORGEOUS! I haven’t been to Paris in what feels like EONS, but really, it’s probably been, 22 years or something! This needs to change! I’ve been in Paris just before you. Been in almost every place you’ve mentioned in this post. Paris is amazing, Montmartre is the best:) some places I would like to add. Petite Ceinture, an abandoned railway lines circling around the city. Powerful flashlight is a must. I didn’t have and miss the best parts of it. it was too scary:) Number two is Parc des Buttes-Chaumont. Number three is just 10 minutes from this park and it’s a Butte Bergeyre. Tiny wineyard in paris, how crazy is that? and amazing view on Montmartre and Sacre-Coeur. Actually these are not the only places but they impressed me sooo much. Your photos are so gorgeous, and the streets are so empty! Paris is such a beautiful city that there are instagrammable spots everywhere haha. I’d love to go back someday! 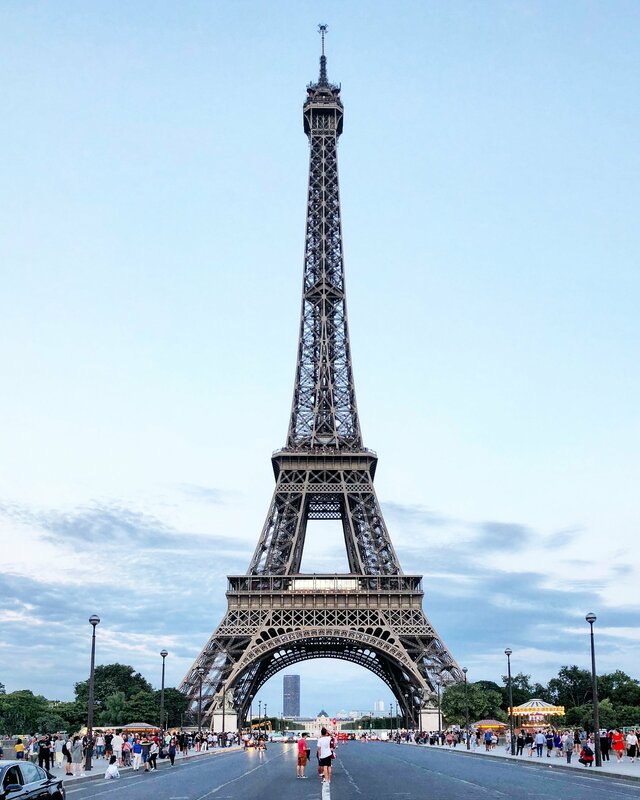 You’re so right – Paris is an instagrammer (and bloggers) dream come true! You captured the city beautifully! Instagram or not, Paris is THE place. Oh my goodness, your photos are beautiful! I need to go back to Paris, your photos are making me miss a place I was mostly ‘meh’ about. Of course, I went in the dead of winter when it’s not as pretty so that might have had something to do with it. I’m going to have to make an effort to go in spring and check out these sites. Yes! totally agree. My former home is a very photographic city and I love finding something new to snap at. I like to get away from the tourist hotspots and get to where the locals are and the hidden secrets. I haven’t been back to Paris for years, but your wonderful photos are making me want to return! Such a beautiful city, and a must see for everyone!